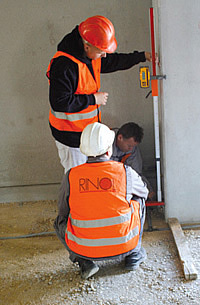 The floor systems require the sub-base adequately projected and installed, which is able to support all anticipated loading, as well from the aspect of the load-bearing capacity as from the aspect of the functioning, during its exploitation lifetime. 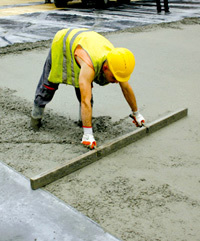 Our systems of making the concrete sub-floor include the usage of the most current equipments and the technologies that insure the highest results. Our most current laser deposition of concrete, respectively the construction of the concrete floor slabs, allows us the daily production rate of app: 1500 m2. 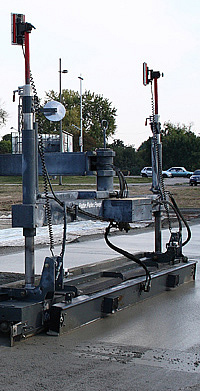 Using the LASER SCREAD equipment, the concrete is grading and vibrating (the compaction) at the same time, so the cavities could be avoided. 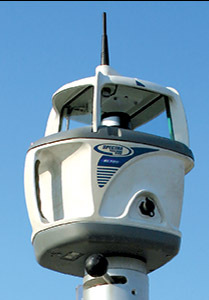 Contemporary, we are able to perform the control of the flat surface using the automatic laser device, five times in a second. 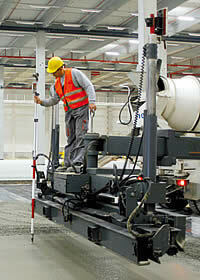 - grading and vibrating of the concrete at the same time. 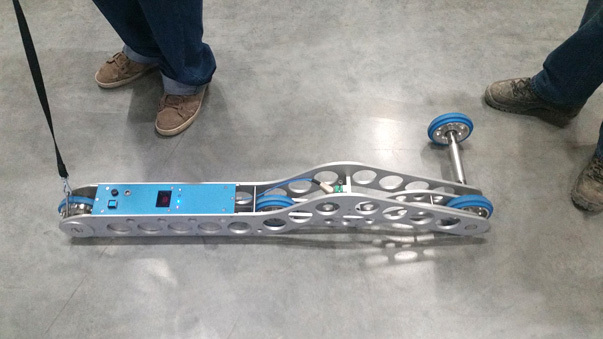 By additioning the steel fibers into the fresh concrete and theirs homogeneous arrangement over the laid concrete mass, considerably more favorable physical and mechanical characteristics of the hardened concrete slab could be obtained. 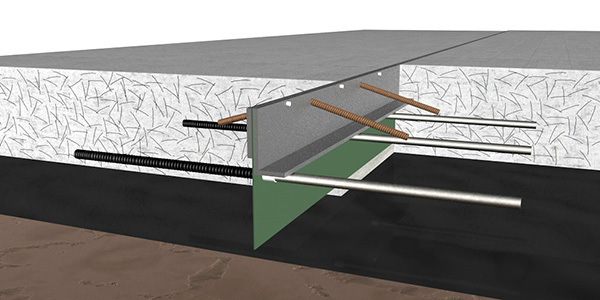 The distinctions of our reinforced concrete floor are: increased load capacity of the static and dynamic load, elimination of the appearances of cracks in the concrete during the usual thermal loading as well as the reduction of the possibility of breaking. 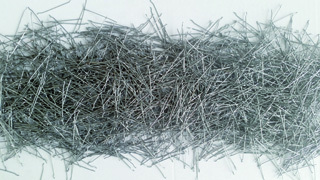 In certain cases the technical solutions request the addition of the polypropylene fibers in the fresh concrete mass. 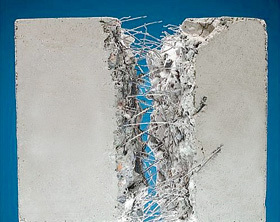 The reduction of the appearance of the micro cracks in the concrete, as well as the reduction of the shrinkage of concrete and improvement the resistance on impact are obtained by micro-reinforcement using the polypropylene fibers. From the chemical point of view, by using the polypropylene fibers we improve the resistance on chemicals and strong basis, as well as the salted solution. Our solutions include using the polypropylene fibers by itself or in combination with reinforcement, depending on individually request of the project. 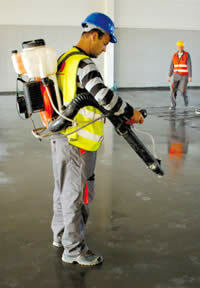 The problem regarding improvement and/ or preparation of existing surface for application of finishing floor coating is very complex and challenging and if it is done by someone how has no experience in it, there could be big mistakes in work which would only lead to removal of the coating and reapplication. 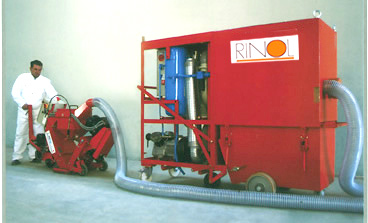 The company “RINOL” does not only have the knowledge and experience ( know-how) but it also provides complete service for satisfying requests from even most challenging investors. 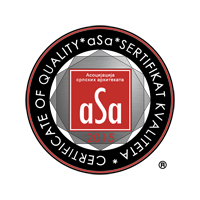 Our technical solutions are answer to most challenging standards of quality which for result have more than 1000 m2 of monolith floor placed in one piece. Our solutions of making the regulation layers on the industrial structures imply the compatibility of all layers from which is floor system made. 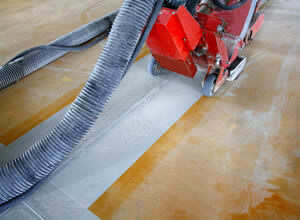 Regardless the fact that we make the regulating layer in the variants of polymer modified cement screed, magnesium, or in the variants of artificial resin or some other system, the machine installation, laser control and exact specified technology guarantees the quality of sub-floor prepared for installation of the certain floor system. 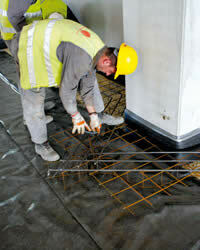 The preparation works allows the maximum adhesives of the floor systems with the sub-floor. 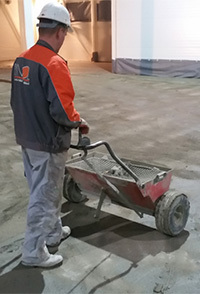 The method of the sub-floor preparation includes the treatment by shot blasting to remove all laitance on the cement and to ensure optimum bonding and adhesion for the covering. The sub-base must be fully cured and free from cracks, dust, oil, lubricating oil and other soiling dirt by vacuum cleaner. The most quality equipment for shot blasting allows the daily production rate up to 1000 m2 without dust and dirt, which is the precondition for fast and quality install of the top layer.